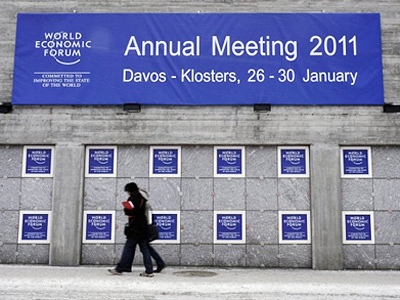 President Dmitry Medvedev has made the opening speech at the annual World Economic Forum in Davos. 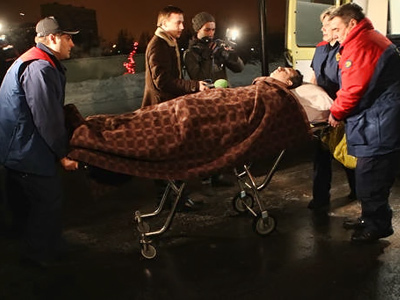 He postponed his arrival due to Monday’s suicide bombing at Domodedovo Airport. The Russian president started his speech remembering the victims of the terrorists’ bombing in the Domodedovo airport. 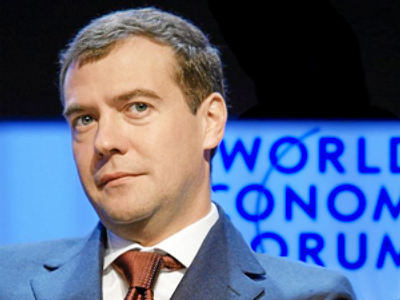 Dmitry Medvedev said that the tragedy will not bring Russia to its knees. “What happened has only reinforced our determination to find effective protection from international terrorism,” Medvedev added. The Russian president said that world governments should take practical steps to fight terrorism, which include eradicating its social and economic roots: poverty, unemployment, illiteracy and other causes. Dmitry Medvedev also said that the economic crisis sobered those who believed in stable and uninterrupted economic growth. He noted that that Russian democracy should be based upon the country’s economic modernization. “A primitive, resource-based economy cannot guarantee that the quality of people’s lives will improve in the future, and this means that it cannot guarantee the stability of democracy. In order to avoid the threat of populism, democracy should have a reliable foundation in the form of a developed economy and the society of self-contained and independent people,” he said. The Russian president said that Russia is ready to listen to friendly advice on improving its political system, but will not accept lecturing on the subject. ”We are what we are. Russia has enough difficulties in building a rule of law state and creating a modern and effective economy,” he added. "We have not yet reached outstanding successes in this, but we are fully determined to go further. We are learning and we are ready to accept friendly advice. But don't give us homilies. Work with us." The opening speech was a key moment, both for Medvedev and for Russia, putting the country firmly at the center of the world’s most important meeting of business leaders and government ministers. It was aimed to show the assembled leaders that Russia is open for business, no matter what happens. Medvedev’s speech focused on the modernization of Russia’s economy and cooperation with foreign partners. However, because of the latest terror attack in the Russian capital, the global terrorist threat will undoubtedly be higher on the agenda at the Davos forum. Watch RT’s comments on the economic aspects of President Medvedev’s speech at Davos. Because any terror attack has a destabilizing effect, RT asked some forum participants how they thought the bombing would alter the perception of Russia’s investment climate at the forum. The opinions ranged from the stoic to the “wait and see”. “I come from America, and we certainly have had terrorist attacks there, unfortunately, as well. It’s very unfortunate, but we keep going. Life keeps going, business keeps going,” Jeff Jarvis, a professor at Graduate School of Journalism, told RT. “I don’t think this will affect the perception [of Russia] as the destination for investment at the moment. It’s more the need to understand if the country is in control, how stable the situation is,” said Marco Panaro, chief business editor at La Repubblica newspaper. “I don’t think it’ll have too much of a negative effect. Maybe short-term it would have. But, unfortunately, the world has seen a lot more incidents around the world. We’ve seen things happening in New York, London, Bombay and Moscow. I think we’ll all have to work to see how we can get together,” a director of real estate developer K Raheja Corp, Neel Raheja, said. 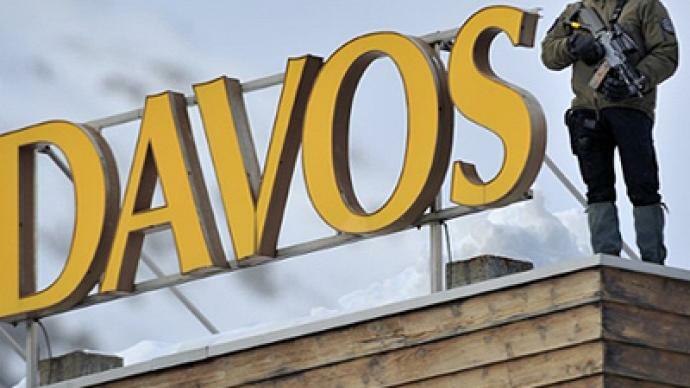 One of the aims of Davos this year is to create a risk response network – a team of people from around the world who would co-ordinate the response to what they perceive the risks of the future to be, from another economic meltdown to a world food shortage. But participants are also talking about the global terrorist threat, with an emphasis on how every country is in this situation together. ­UN Foundation President Timothy Wirth expects the discussions to be of a ‘post-recovery’ character. They will focus on energy issues and corruption, but not much on terrorism. Though terrorism is a global threat, Wirth does not think that it will be much higher on the agenda than it is. 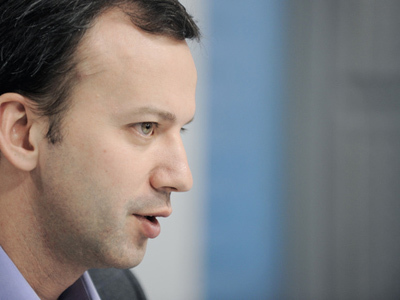 ‘His [Medvedev’s] being here is a signal that Russia is open for business. It’s a signal that Russia has joined with the international community and certainly the terrorism reflects that we are all joined at the hip in our need to respond to it,’ Wirth says. Dr. Fatih Birol, chief economist of the International Energy Agency believes it is very significant that for the first time ever, a Russian president opened the summit in Davos. “It underlines one more time how important is Russia today for the global economy, global energy system and beyond,” he said. ­Bernard Liautaud, general partner at venture capital firm Balderton Capital, does not think the recent terror attack at Domodedovo Airport will influence the general investment climate. Expectations of global business to Russia are longer-term. ‘…they are looking at other things like if Russia is a place where you can invest, where businesses can grow, where you have the similar type of transparency and governance and freedom to do business than in other places. So if we start seeing a lot more successes there, then the foreign investors are reassured,' says Liautaud.